The look of the Liberty 1-1/2 in. Tumbled Dark Gunmetal Ringed Knob is both ageless and contemporary. The pewter finish is hand-applied and adds a look of tasteful antiquity to your cabinetry. Uses 8-32 x 1 in. machine screws. Inspired by nature, the Seaglass knob from Liberty offers a soft designer touch. Smooth lines and a soft frosted finish accent spa décor. Perfect for bathrooms and furniture projects. The Liberty 1-1/2 in. Weave Pattern Round Knob will provide an elegant accent to your home decor. Its distinct styling and hand-rubbed antique brass finish add a stylish finishing touch to the fine cabinetry in any room. Mounting hardware included for easy installation. 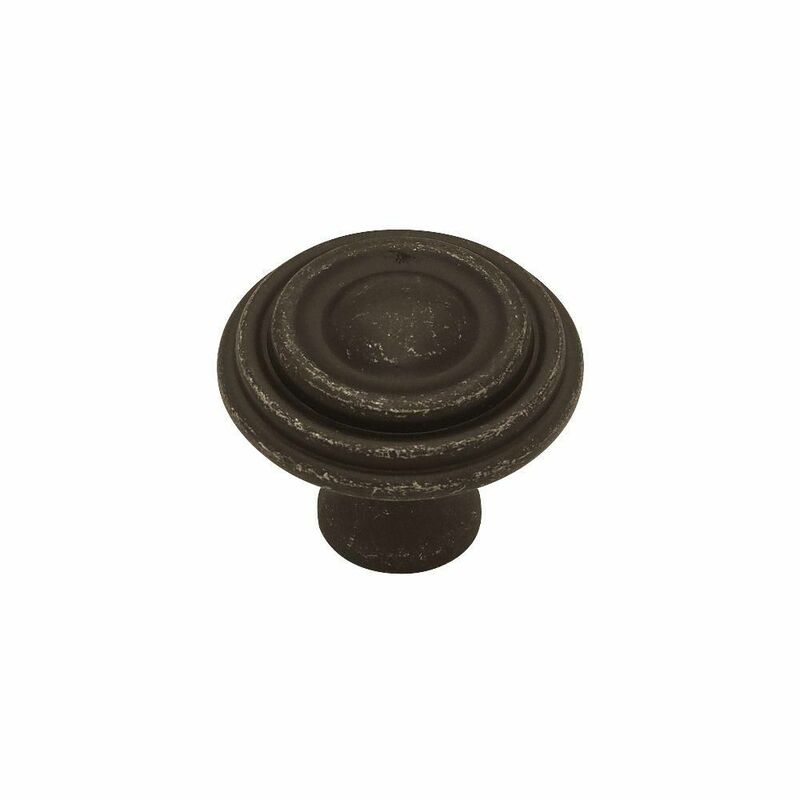 From Liberty Hardware, the Mandara Knob is a simple design with subtle reflections from the glamorous art deco period. Crafted from die-cast zinc for long lasting quality and durability. Installation hardware is included for your convenience. 1-1/2 Ringed Knob, 1 per pkg The look of the Liberty 1-1/2 in. Tumbled Dark Gunmetal Ringed Knob is both ageless and contemporary. The pewter finish is hand-applied and adds a look of tasteful antiquity to your cabinetry. Uses 8-32 x 1 in. machine screws. 1-1/2 Ringed Knob, 1 per pkg is rated 5.0 out of 5 by 3. Rated 5 out of 5 by Julie from I was happy with my order. The pieces were just... I was happy with my order. The pieces were just what I expected. Rated 5 out of 5 by Fletch from Clean, professional look on our cherry wine bar cabinets. High quality, easy to install, what ca... Clean, professional look on our cherry wine bar cabinets. High quality, easy to install, what can be better? ?